by Mary Epner | Jul 15, 2015 | Digital, U.S.
We’ve been bullish on the athleisure trend for the past 2 years as we watched street fashion influence sales, merchandising and how retailers are moving to capitalize on the trend. We contend that this is no longer simply a trend but more of a lasting change in the way women choose to dress out of the office, and it will be as much part of the American wardrobe as denim for the foreseeable future (however, even denim sales have been lackluster this year). 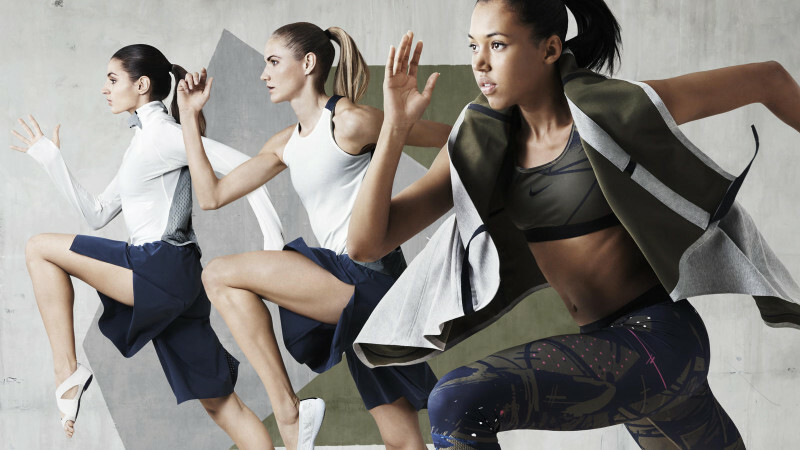 As retailers and athleisure brands try to ride the momentum, we’re seeing more frequent updates and planned refreshes much like sportswear lines from Michael Kors or Ralph Lauren. No longer are athleisure lines relegated to a technical-fabric pant that is only changed when new technology or new fitness trends demand newness, now they are updated frequently—from quarterly to monthly—to create newness and drive repeat purchases. We’re even seeing ready-to-wear brands add athleisure trend pieces to their lines or adding line extensions to ride the wave, however these late-to-the-game additions lack the technical prowess and fitness-derived authenticity that sport brands have cultivated over the years. As athleisure brands take a more traditional apparel refresh plan, we’re seeing pressure on traditional sportswear lines, which may explain the slower sales this spring—despite excitement around fashion trends. For a deeper perspective on athleisure and who is poised to win or lose across stores, digital and global markets, talk to us about your needs and we’ll customize our reporting to get you the perspective to add to your decision-making.